FSM Brand 421-BR alfalfa is a branch-rooted variety better adapted to poorly drained soils than typical taproot varieties. 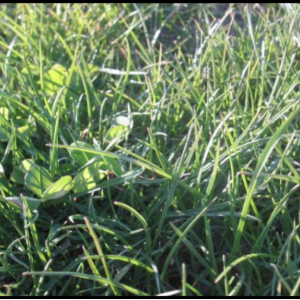 421-BR offers an excellent disease resistance package and large yields of high quality forage. 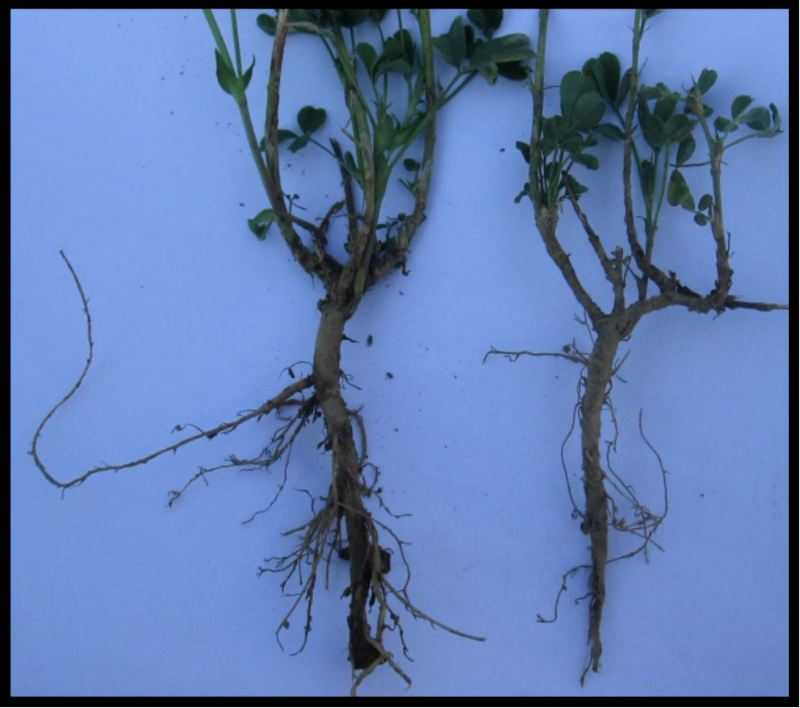 FSM Brand 421-BR alfalfa’s branching trait keeps more of the root system above the water table, showing greater expression as moisture stress increases. Branch-roots better secure the plant during periods of freezing and thawing, making the plants less susceptible to heaving. For best results, drill inoculated seed ¼ to ½ inch deep into a firm seed bed. Untreated seed should be inoculated prior to planting with Myco-Seed Treat Rhizobium to encourage health and vigor. 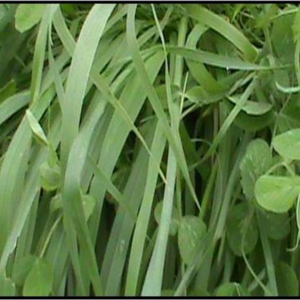 Applying one of our customized Agri-Energy Alfalfa Fertility Programs can enhance production of high quality forage with excellent nutrient and mineral availability. 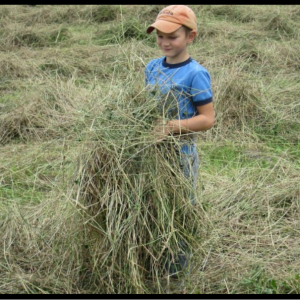 The digestible energy of your harvest can also be increased by incorporating up to 50% of a high quality grass into the seeding. 421-BR alfalfa offers a broad disease resistance package and high yields of excellent quality forage. 421-BR is well-adapted to an aggressive 28-30 day cutting schedule. Cuttings to be made after September 1st should be delayed until after a killing frost. Untreated FSM Brand 421-BR is available, however, always confirm acceptability for organic production with your certifying organization. FSM Brand 421-BR will benefit from Myco-Seed Treat inoculation, with proper rhizobium added to untreated seed, before planting at a rate of 4oz per 50# of seed.